Disney attraction posters have been an important means of communication since Disneyland began displaying them in 1956. 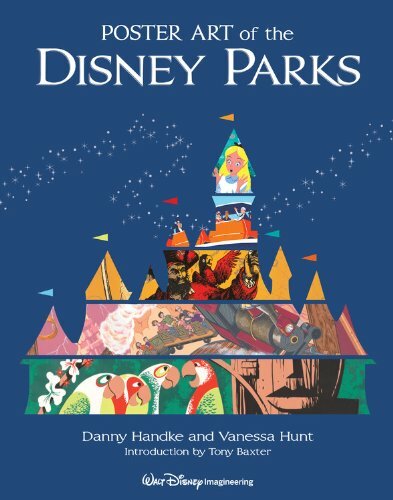 Not only are they eye-catching pieces of artwork that adorn the Parks with flair and style, they are also displayed to build excitement and disseminate information about the newest additions to the Disney landscape. When the first attraction posters made their debut at Disneyland, one such piece of art proclaimed that Guests could have a "true-life adventure" on the Jungle Cruise. And in 2012 at Disney California Adventure, a poster announced the grand opening of Cars Land-the newest thrill-filled destination at the Disneyland Resort. Both of those posters are reproduced within this book, along with posters from every decade in between.